Say hello to the Duke and Duchess of Sussex. 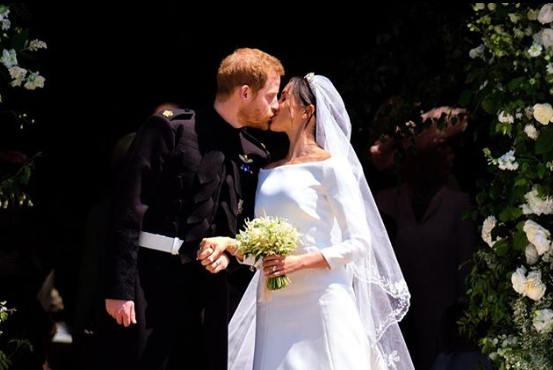 Prince Harry and Meghan Markle got married this afternoon at St. George's Chapel, Windsor and sealed their wedding with a kiss on the church steps as they emerged to sunshine and cheers as husband and wife. The couple said 'I do' in front of 600 guests at the ceremony with the Queen and the Duke of Edinburgh as guests of honour. 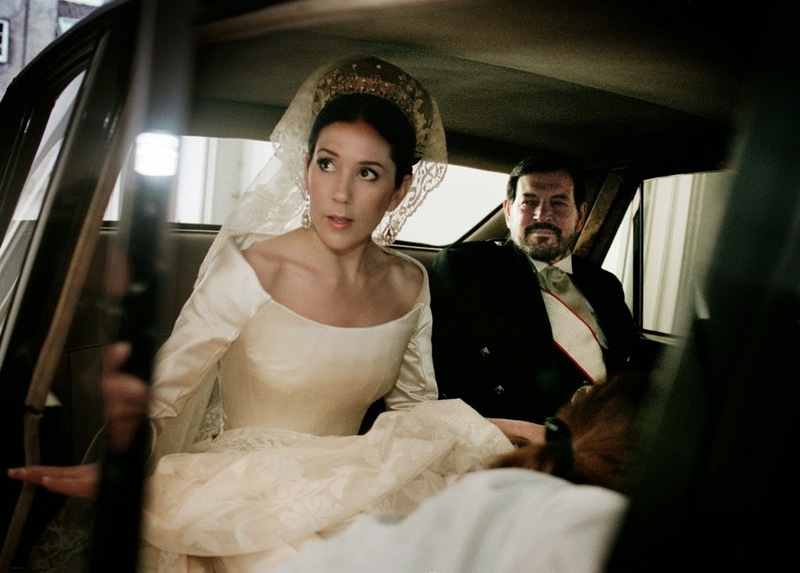 The bride wore a gown by Claire Waight Keller for Givency accompanied by a huge cathedral veil trimmed in lace. 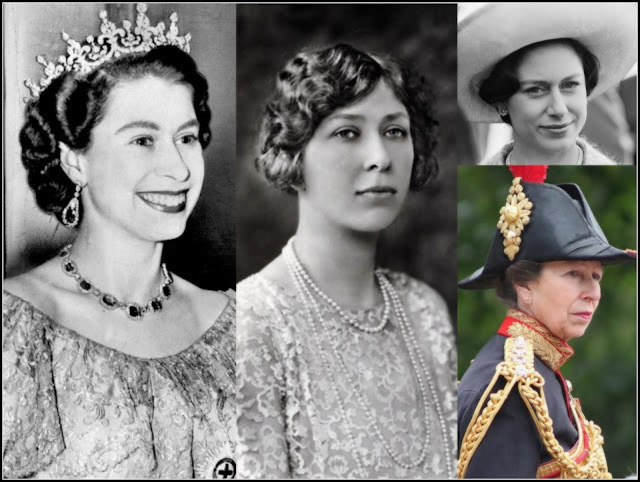 The new duchess made her royal debut in a diamond tiara from the collection of Queen Mary while Prince Harry was in the frock coat uniform of the Blues and Royals. The bride was a few minutes late and arrived to find her six bridesmaids and four pageboys waiting for her. 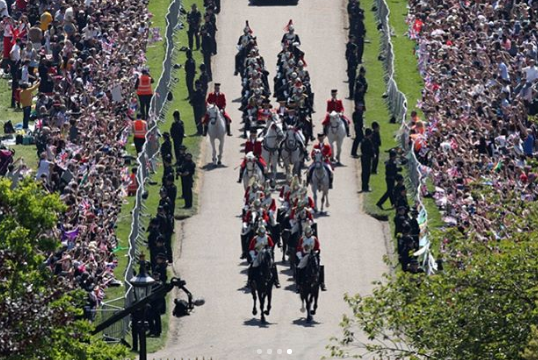 The girls were in pure white, to match the bride, while the boys were in mini Blues and Royals uniforms. 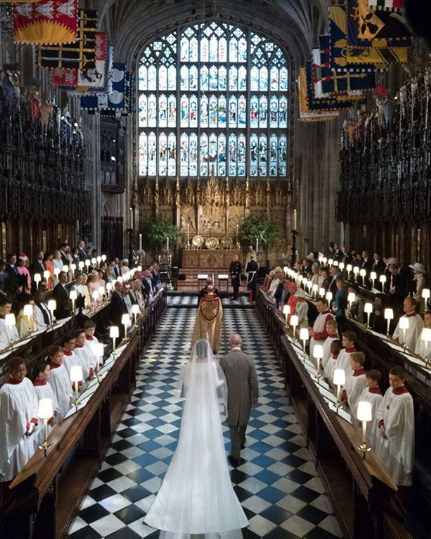 Meghan led them all up the aisle before joining arms with the Prince of Wales at the Quire of the Chapel where her soon to be father in law led her to the altar. 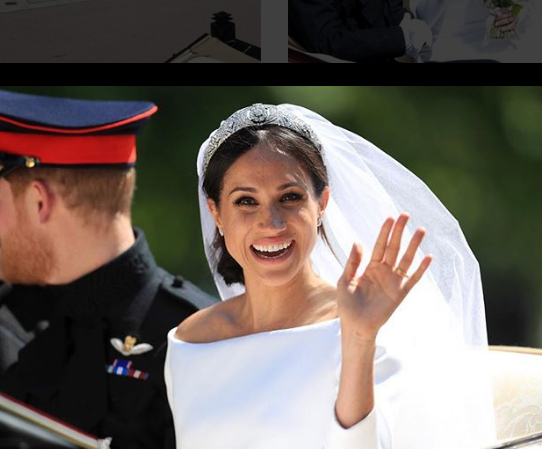 After the ceremony, the newlyweds kissed on the steps before enjoying a carriage procession through Windsor where they were cheered by some rather impressive crowds. 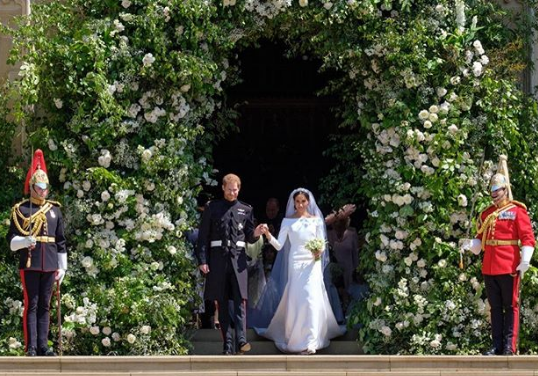 The new Duke and Duchess of Sussex are now enjoying their wedding reception at St. George's Hall before a short rest ahead of their evening party at Frogmore House. There will be much more on the blog to come on what has turned out to be a perfect day.